DePuy makes patient safety and health a top priority and is continually evaluating data about its products, including the ASR Hip System. Most ASR hip replacement surgeries have been successful. However, data recently received by the company shows that more people than expected who received the ASR Hip System experienced pain and other symptoms that led to a second hip replacement surgery, called a revision surgery. For this reason, DePuy Orthopaedics is voluntarily recalling its ASR™ XL Acetabular System and DePuy ASR™ Hip Resurfacing System. This recall means additional testing and treatment may be necessary to ensure the hip is functioning well. In some cases, patients may need additional surgery. Attention patient: I personally never used the ASR Depuy prosthesis. I have however previously used FDA approved Stryker and Zimmer acetabular components that were subsequently recalled. The longevity of an artificial hip or knee has classically depended on many factors including a surgeon’s skill, a patient’s weight and the patient’s adherence to postoperative restrictions on activity. 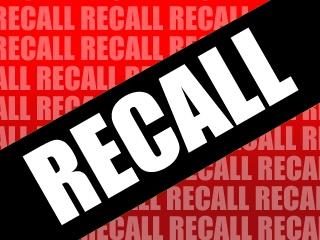 Since 2007, however, I have received an ever-increasing number of Urgent Medical Device Recall letters from the several orthopedic prosthetic manufacturers. Described as voluntary recalls, these letters typically position the ORTHOPEDIC PROSTHETIC MANUFACTURER as a concerned party with insufficient evidence to suggest what is behind a failed prosthesis. At the same time, I am advised to watch my patient closely and remain vigilant when a patient presents with unexplained pain within the first several years after having undergone a hip or knee replacement. In a New York Times article appearing April 04, 2010, the quotation suggests: “when a car breaks, a computer fails or a toaster flames out, the manufacturer is often liable under the product warranty”. When an orthopedic implant is prematurely revised, Medicare, insurance companies, patients and the surgeon largely pay the cost of the repeat surgical procedure. What about the fiscal responsibility of the orthopedic company? Since the cost of the revision device may reach as much as $15,000 each, the manufacturer may actually profit from the premature failure of a substandard device. The FDA is responsible for the assurance that a submitted and clinically tested prosthetic concept meets minimum criteria for approval but it is the manufacturer that is responsible for quality control. Implant surgery can fail for many reasons; my outcomes analysis has identified an increasing number of failures from problematic devices in the past five years. Who should bear the costs imposed by poorly performing medical devices? Unfortunately, that question was not addressed in the landmark health care legislation passed by Congress in March. To its credit, J and J /Depuy map out an economic remedy for the patient on their web site. Not all companies accept fiscal responsibility and chose to a firewall of preemption protection afforded by Congress.